Dictionary.com defines power dressing as a style of dressing in which business people wear formal clothes to make them seem powerful. Your clothes do not indicate your caliber or intellect but they do represent who you are and what message you want to put across. Especially, while making first impressions. 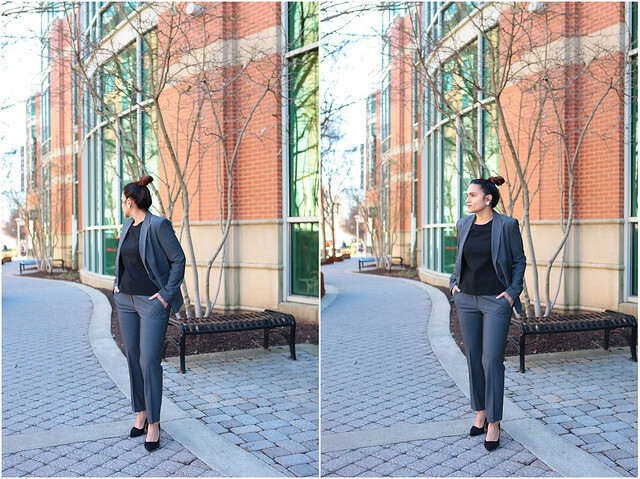 You could be wearing a flowing blouse or the most romantic and trendiest pleated dress, but personally I believe that there is nothing more iconic and statement-making while still being professional than a power suit! In this post I am sharing some tips on how to create that power infused look while looking professional. In order to feel powerful, you need to look powerful. This is why it is important to take the time, and curate a closet which reflects your style and wardrobe needs. Perhaps first start with a closet audit. Everything that you feel is holding you down, not sending the message you want it to send in the workforce – get rid of it. Once you have a clean and curated closet, it will become much easier not only to work with what is left but also to make new additions to your wardrobe. You may have to follow certain rules in your office environment, but there is always wiggle room for you to claim your stake, in both business and attire. How? With the power of great accessories. Your outfit may be similar to everyone else’s in your office, but the right lip color, a signature hairdo or a poignant pair of shoes can set you apart from the crowd. 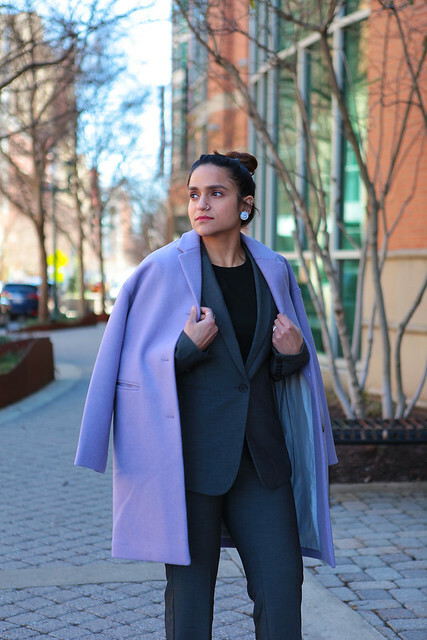 I paired this outfit with my a statement pair earrings/studs and a lavender coat, my own way of making infusing color in an otherwise gray look. The first thing you need to know about clothes is that it’s always, with no exceptions, better to own a few high-quality pieces than a closet full of items you impulsively bought during the sale season. If you don’t know where to start, a minimalist style will serve as a great guiding star. For example, this Ann Taylor set from their Bi-Stretch line is timeless, professional and of great quality. Purchasing one such set itself can be a worthwhile investment. You can mix and match it into different looks, and use each item as separates. Hence, timeless, high-quality pieces that always look sharp and elegant over current fads. Personally, I believe nothing is more powerful than a power suit. That's exactly why I chose this set from Ann Taylor for this post to make my point. In traditional work places you cannot probably experiment with many colors and might have to stick with an understated color palette. However, the cut, fabric and quality of a good suit can be incredibly potent, feminine and powerful at the same time. 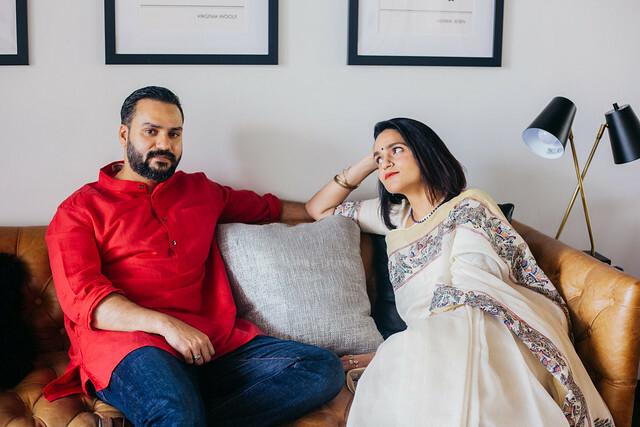 And while we are on the topic of suit, you must see how my fellow blogger-friend Alison from Wardrobe Oxygen has styled her Ann Taylor set here, not one but two ways! 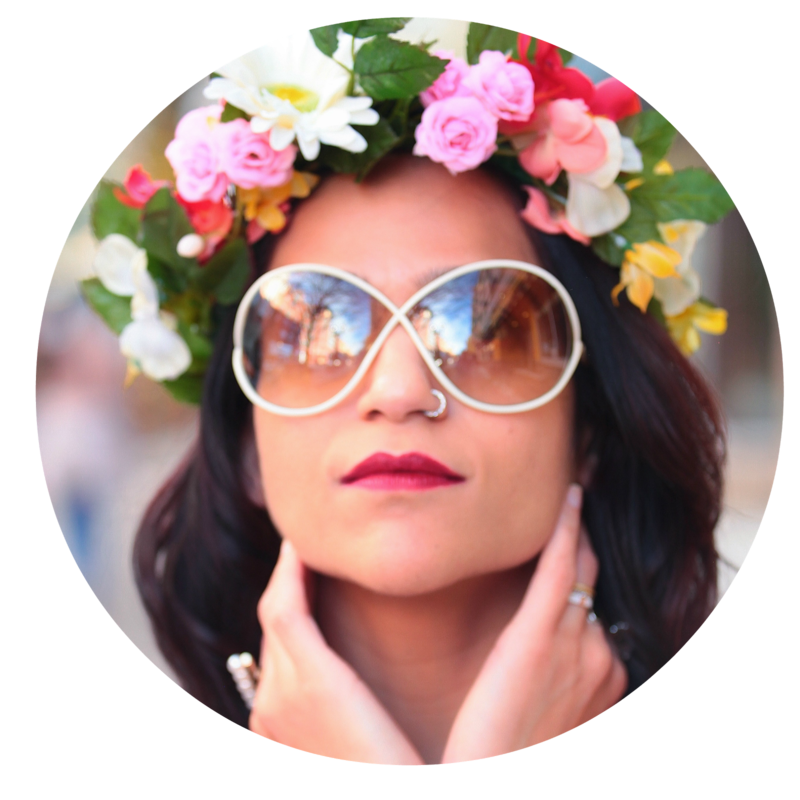 Her style is edgy yet attainable and if you haven't already checked out her blog you have been missing out. Don't forget to to leave a comment on her post as well as below. If you’re torn between comfort and style, always lean towards comfort. You won’t be able to exude power if you feel uncomfortable or restricted in any way. This is exactly why, if you don’t feel comfortable wearing high-heels and you think you never will, feel free to throw them to the curb and go for flats. There are so many chic and elegant flat choices that a woman doesn’t have to endure the pain of the stiletto if she doesn’t want to. This is your world now so bring your own rules. I love this so much! No matter who you are, the old saying, "Dress for the job/life you want" is so true. When you power dress, you portray an air of power, professionalism, and prowess. That rubs off on both you and the people around you. 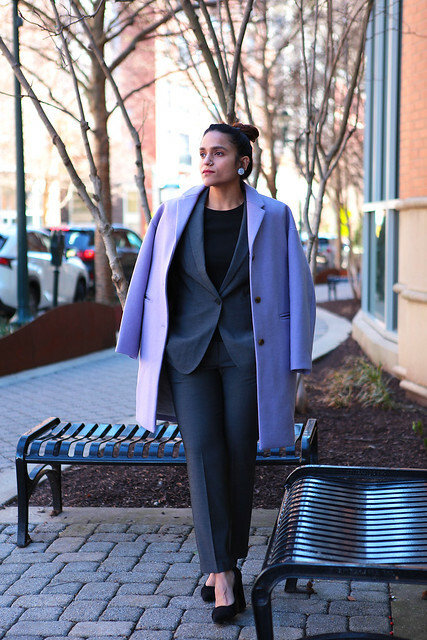 Always love a power suit, and it's perfect with your lavender jacket for Spring! Love this post!! And I definitely need that pretty purple jacket! I definitely agree with power dressing! I think it's essential for first impressions too, especially in the workspace. A dress can make the difference in self-confidence and in the impression one makes, especially at work. I love both of these on you, but that lavender coat is gorgeous! I agree that a suit is always timeless. I don't have to dress at my current job, but if I go on an interview, or have an important client meeting, it's nice to have a go to. A suit will always say "business" and "power", and, to recall, all the people who work in financial areas wear them. It is a statement of power to wear a suit. I do wear mine on business meetings all the time. I agree with you 100% - when you look good, you feel good. Love your look! SUCH a BOSS! Love this look and I could not agree more!!! I love your power outfit, the color of the suit looks timeless. I always love blazer jacket and even wear them when I traveling. I love how you accented this classic look with the personal lilac coat! So cute! i always believe power dressing is important not only to impress but to create a statement you would want to be known for. I miss the days when I used to dress up for work. Now that I work from home, I basically wear my jammies all day. I'm a huge believer in power dressing! 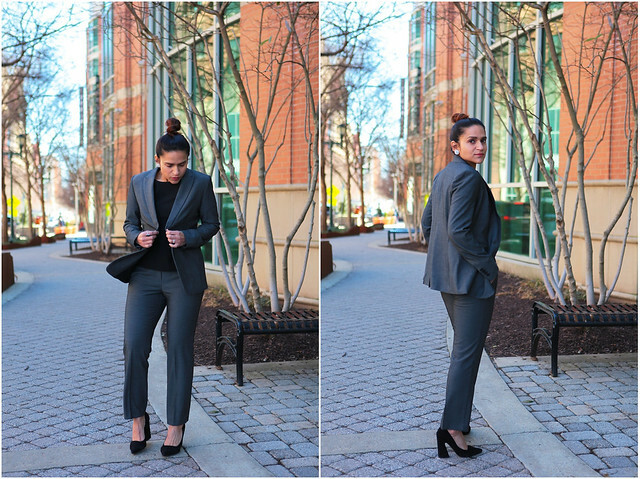 A power suit does wonders for your confidence. Love you in this suit girl! This is such a stylish outfit, you look great. I love power dressing, it really makes me feel confidence. Like a boss! And you look amazing. I agree, suits are such a fab way to create a statement and you are totally rocking it! This sure is a power suit if I’ve ever seen one! I love the colorful addition of that lilac coat! You are killing it big time Tanvi! Love your style and the article. It is so true. I have noticed a difference in how people react towards me when I power dress. This is a thing in this society. I love the purple coat! its lovely! I had no idea power dressing was in the dictionary, but I guess you can tuck this outfit right beside that entry! I love the power suit. It makes me feel more confident and I love how it looks. Your coat is fabulous!! Great read and love this look on you! I am a huge power suit type of girl. Love Ann taylor too as they have great work wear. I absolutely believe there can be power in an outfit! Makes me feel more confident when I dress a certain way! Nothing screams power like a suit. I love how you paired it with the purple coat, it just completes it. I love this suit! If you have this you're unstoppable! I love the color you have in it too, and the pop of purple for the coat. Oh wow! I getting in love with that classic coat! I love your style! You look so beautiful on it. I love this post and totally believe it!! This suit is SO perfect and chic! Love this so much! 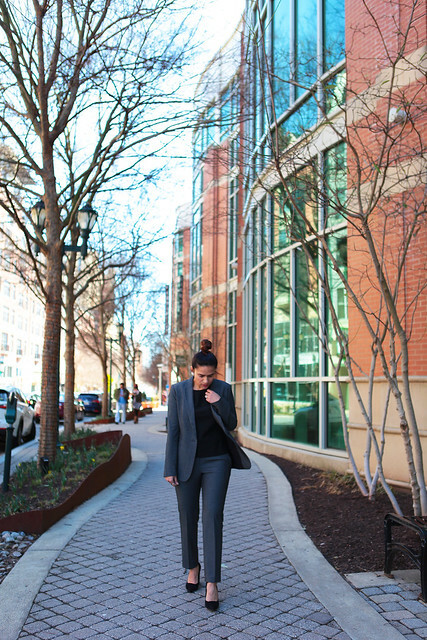 I love how simple your suit is and with the black pumps it's so perfect for a work day. You look ready to seal the deal! These are some great outfits! I especially love the purple jacket! I agree that if ever you need to choose between styles and comfort, I will also chose comfy clothes. That purple coat looks really stunning! You look so good in a suit! You look amazing in this suit! I love your hair pulled up like that - looks beautiful! 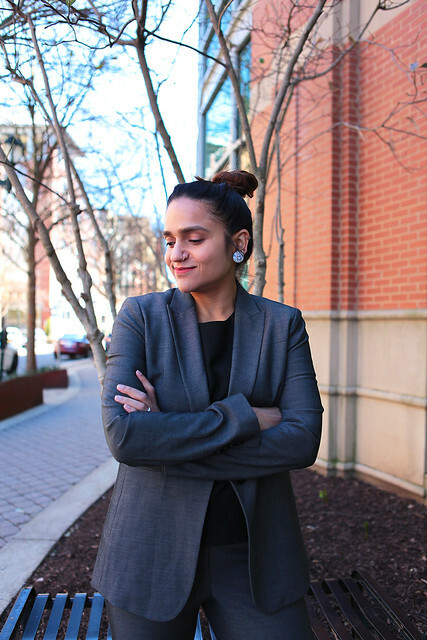 This suit looks so chic on you Tanvi! You look classy and elegant on your suits. It looks perfect for casual party and office outfits. I'd really love it. I'm loving this look! You definitely demand attention and respect in that suit! Looking fierce!! I love this suit on you!